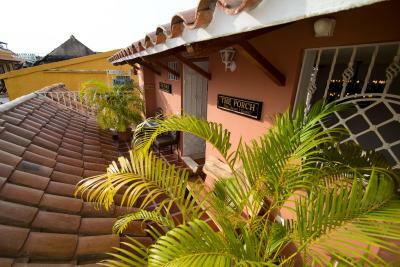 Lock in a great price for Life is Good Cartagena Hostel – rated 9.3 by recent guests! the staff was super friendly and helpful.. they help in everything you could ask.. the curtain in bed is great for privacy. 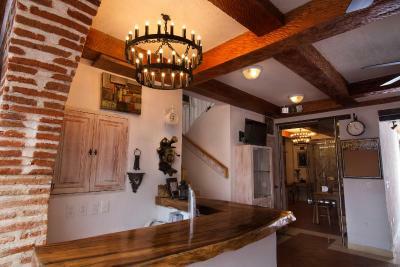 It is a great location and the staff was super nice. Breakfast is included and they have a hot tub on the roof. The bathrooms were clean and there was steaming hot water in the shower. Great location - easy to walk everywhere. Also very close to the docks if you take a boat tour. I loved everything about this place. 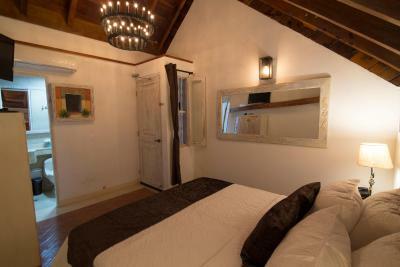 The location in Getsemani is a perfect base, everything is short walk with many lively squares close by. It's super clean, love the dorm room layout with privacy bed and large locker cabinets. Breakfast is fantastic, it's nice having a full service restaurant on the property. 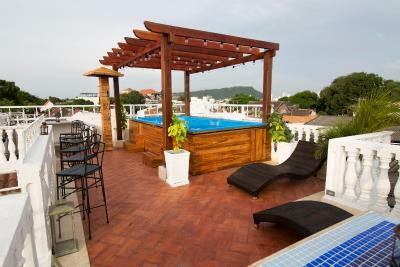 The rooftop jacuzzi and day beds are perfect for relaxing and socializing. The staff is the best! Jose and Manuel are my guys although I enjoyed them all. Thanks for an awesome stay! I'll be back! The staff at this hostel are amazing! Truly the friendliest and most helpful staff I encountered in Colombia! The breakfast is good and the 4-bed dorms are nice and quiet. 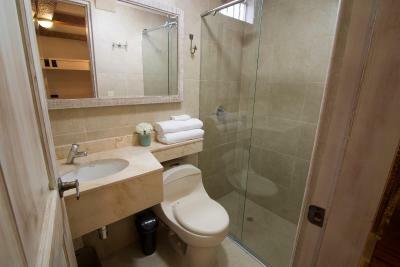 The toilets and showers are spotless (even if a bit small). Beds are comfortable and provide some privacy curtains. 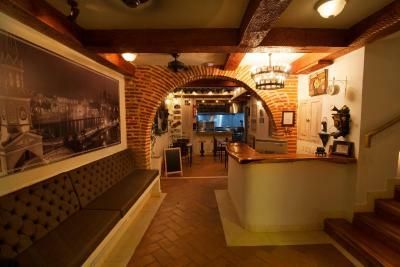 Great location in Getsemani, just a few steps from Plaza Trinidad and loads of great places to hang out in Cartagena. I stayed 3 times! Staff is extremely kind and welcoming. 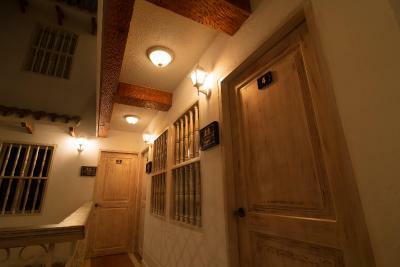 Cozy hostel if you are looking to relax or just enjoy a nice quiet place. PROS: Staff was so nice, great location, SUPER clean, great FREE breakfast, rooftop was awesome. 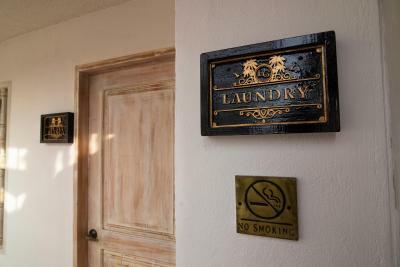 (speaking for private dbl room- can't speak for dorm rooms) Would def stay again and recommend to friends. I really enjoyed the atmosphere and staff, as well as the security and location. The owner is an awesome guy. The front desk, food/beverage, cleaning and night staff all had wonderful customer service. Before I arrived they responded quickly to all my questions. The place was beautiful and a short walk to the walled-city. The staff more than exceeded our expectations. Would definitely return and recommend to all our acquaintances. 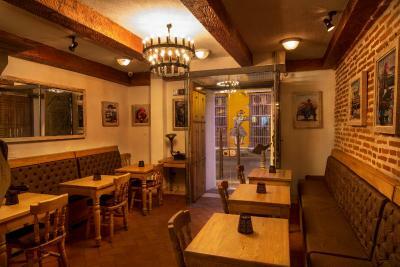 Beautiful space, clean, good breakfast, away from the old town but close enough to walk. 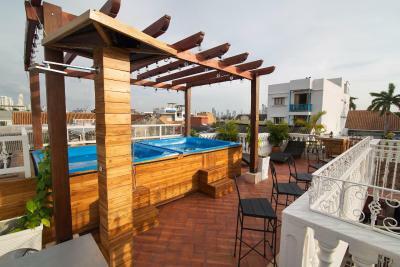 One of our top picks in Cartagena de Indias.Located in Cartagena de Indias, a 17-minute walk from San Felipe de Barajas Castle, Life is Good Cartagena Hostel features a garden and a terrace. A hot tub is available for guests. Staff on site can arrange airport transportation. 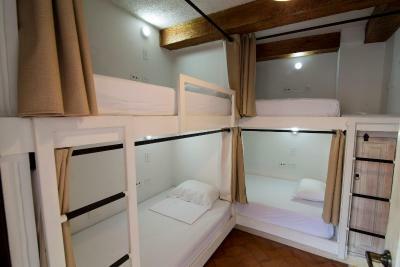 At the hostel, the rooms come with a closet. A continental or American breakfast is served at the property. 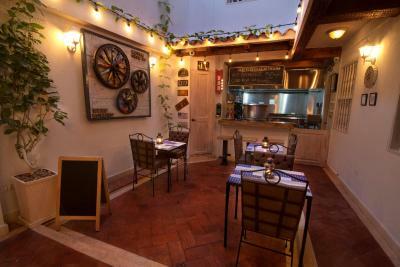 There's an in-house restaurant, which serves International, Italian and Local cuisine and also offers dairy-free and vegetarian options. 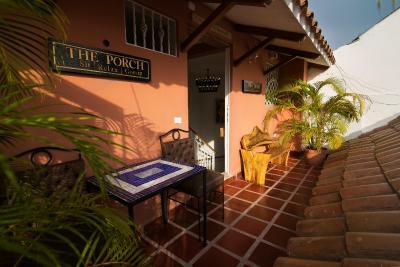 Cycling is among the activities that guests can enjoy near Life is Good Cartagena Hostel. 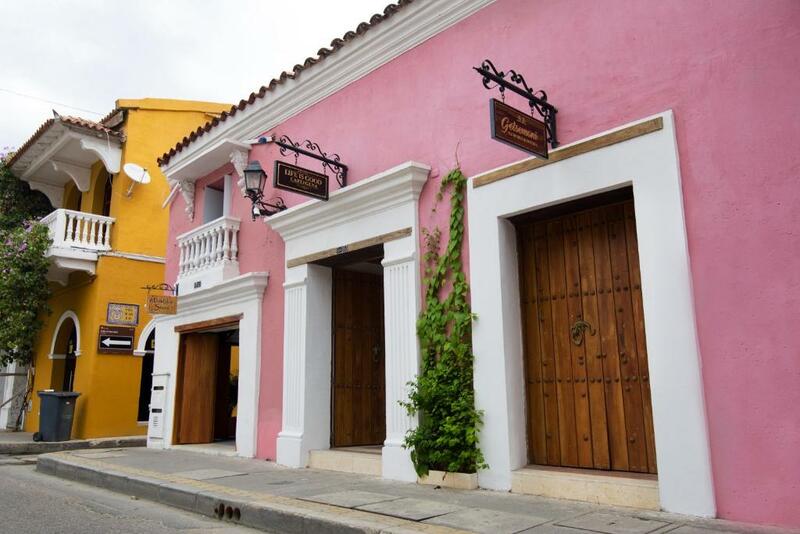 Bolivar Park is 1.4 miles from the accommodation, while Cartagena's Gold Museum is 1.4 miles away. 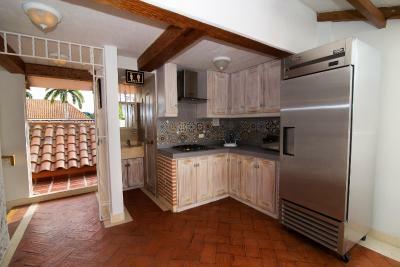 The nearest airport is Rafael Núñez International Airport, 4.3 miles from the property. 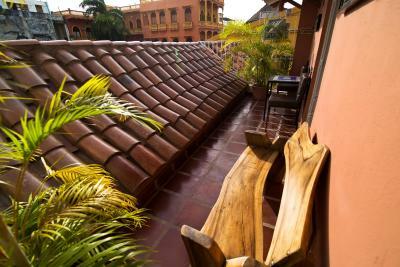 When would you like to stay at Life is Good Cartagena Hostel? This family room has a toaster, barbecue and air conditioning. 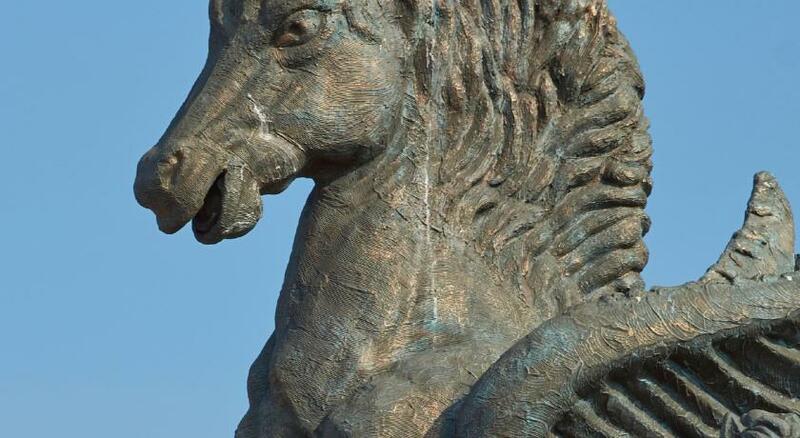 Public parking is available at a location nearby (reservation is not needed) and costs COP 16000 per day. 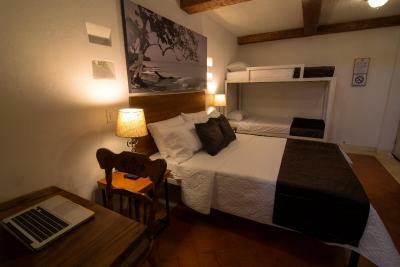 This twin/double room features a kitchenware, dining area and stovetop. 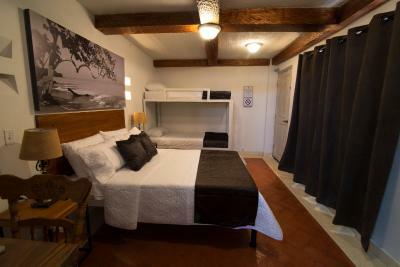 This twin room has a kitchenware, barbecue and toaster. This dormitory room features a barbecue, stovetop and kitchenette. 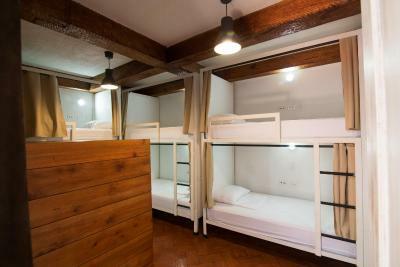 This dormitory room has a kitchenware, air conditioning and microwave. 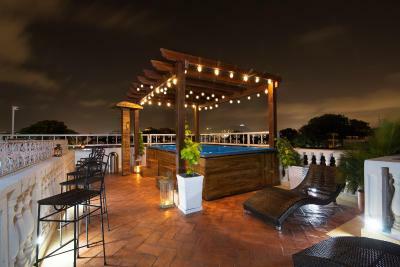 House Rules Life is Good Cartagena Hostel takes special requests – add in the next step! Life is Good Cartagena Hostel accepts these cards and reserves the right to temporarily hold an amount prior to arrival. 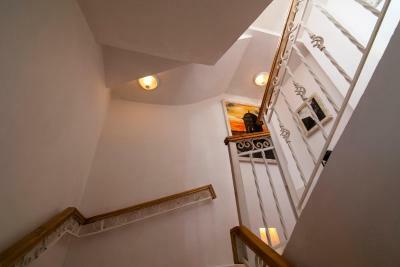 This property features hot water in their bathrooms. 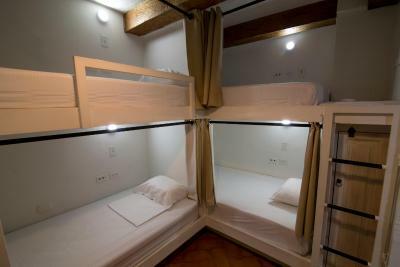 The five bed dorm doesn’t have any windows so there wasn’t a lot of ventilation. The AC only runs freezing so you have to choose whether to not use it and be too hot or to be too cold. The staff was not able to help us plan our trip to Santa Marta. They actually made us go to the bus station twice to book our ticket which wasn't possible in advance. No one offered to call the company for us to double check or anything, why not waste our time instead. Also, we had dinner there one night and after waiting for 10 mins for the waiter I had to go to the bar and order directly with the chef. Not the service I expected from the reviews... Our double room had no window so no natural light at all. They keep the door of the two dining rooms open with air con on at 16 degrees, not very ecofriendly. 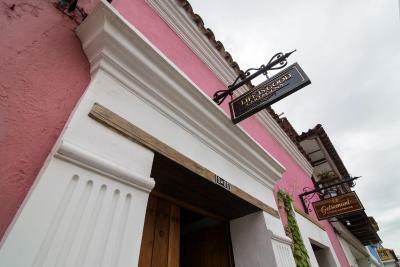 Location in Getsemani is really great, but the service can be improved. 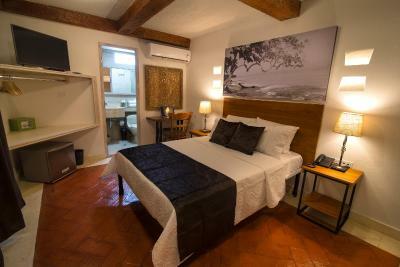 Very nice hotel, the staff is very friendly, good ambiance, and the breakfast is really good. We enjoyed the staying. We loved the way the reception staff always assist you in getting the best taxi services. 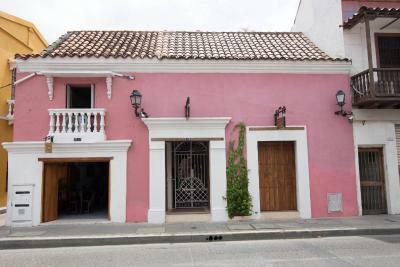 The location is perfect, very close to the centre and historic area of Cartagena. Very friendly and welcoming staff. They were always available to answer questions and help out. The hostel is spotlessly clean. 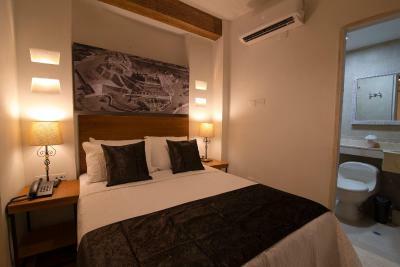 The private rooms are a very comfortable and have all the amenities you would ned. I could go on forever about Life is Good. 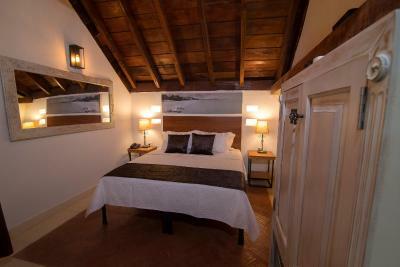 This place felt more like a bnb or boutique hotel to us as we stayed in a private room. We loved everything about it. 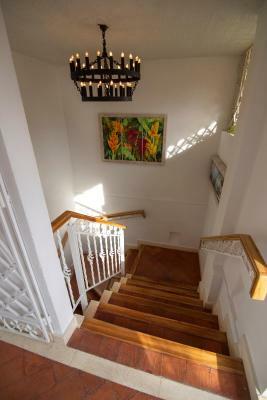 Super welcoming and helpful staff, great home-cooked food, the room was clean and well presented. A cleaner came every day and cleaned our room whilst we were out which was nice. My friend hurt her foot badly one day and they called a doctor who came first thing the next morning and gave her a free consultation (luckily nothing was broken). Our flight leaving Cartagena was very late at night, they let us leave our bags all day and even take a shower before we had to leave to catch the flight as we’d been out and about all day. I could keep going. Just stay here! 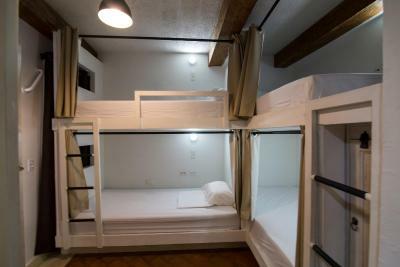 The only thing missing in this hostel is a more central location available for meeting/socialising with others. The staff at the hostel are great - friendly and helpful. My dorm was clean spacious and quiet (10 bed) for the whole week I stayed. 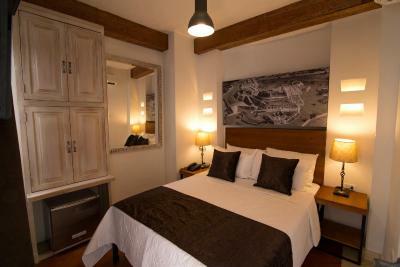 The curtains on the beds also maintained privacy. Breakfast was also nice and changed daily. I enjoyed my stay a lot. Room to small for 4 persons. 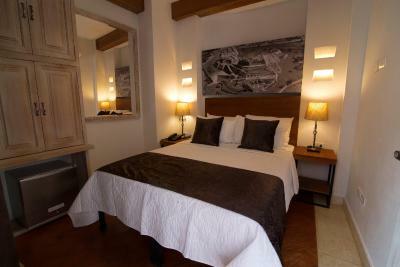 Management told us they know about it and are planning to change the room to 3 beds. However they still demanded the full price for 4 persons. 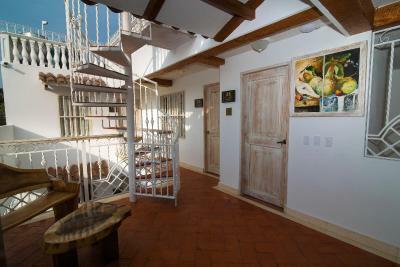 Perfect location in the neighborhood Getsemani, 5 mins is walk to bars and restaurants as well as to the peer and the old town. Very friendly personal. Noise came into the room quite easily; not good for a light sleeper like me. This was not a party hostel so there wasn't a lot of noise to be concerned with, but I could easily hear people talking down the hall or in the lobby. Maybe some new/upgraded windows in the room would do the trick. Life is Good Cartagena exceeded my expectations! 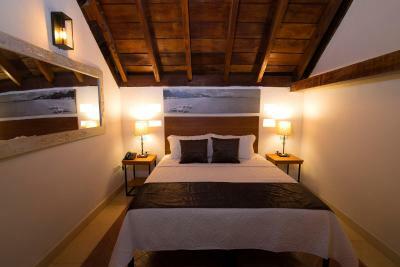 The property was impeccably clean, well-organized, tidy and comfortable. You can tell just walking in the door that this place is well taken care of. My private room was small but comfortable. The absolute standout about Life is Good is the staff. Everyone is incredible! I don't know everyone's names, but Oscar, Miguel, the young lady at the front desk and the other young man (maybe Jose based on the other reviews) were all outstanding. So friendly and genuine, so helpful and nice. After my stay in Cartagena I went to Isla Baru for three days. I had to pass back through Cartagena for a few hours before heading to the airport to go home. I got in touch with them about storing luggage and they let me do this for free. I also needed to see a doctor and the gal at the desk helped me with that and was genuinely concerned about my issue. Not only that, but I asked to take a shower before I went to the airport (don't worry, I offered to pay!) and they also let me do this for free. It didn't feel like a hostel, it felt like a friend's house. Seriously, everyone working here is amazing. Super clean property, there was even a guy literally on the floor scrubbing and buffing the tile twice out of my four night stay. The rooftop is not very big but a really nice place to chill. Breakfast was included and something different every day, which I appreciated. 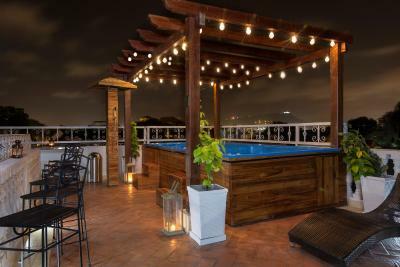 This would be the only place I would consider staying in Cartagena! Great Staff, great hostel, good breakfast. Everything you need.